Meagan Davis, the agency's associate director, will take over next month as executive director. 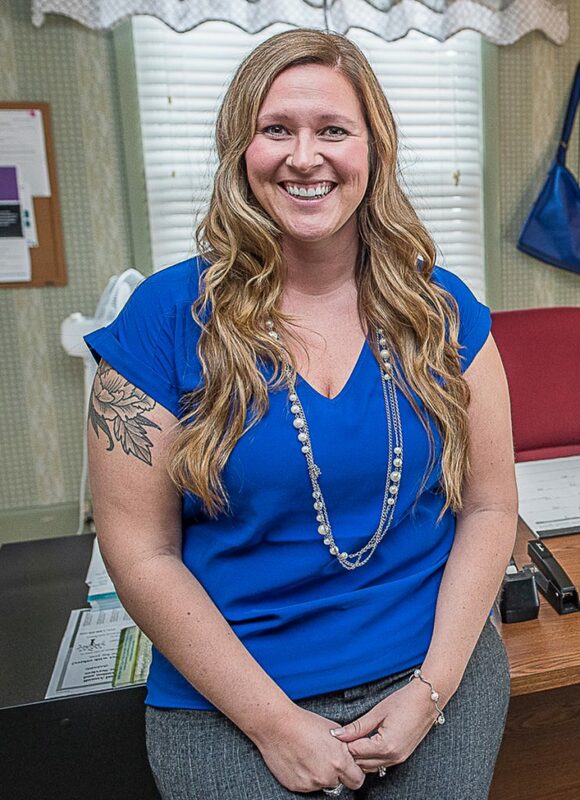 LEWISTON — Sexual Assault Prevention & Response Services, one of the largest such nonprofits in the state, has a new leader – but she’ll look familiar to anyone familiar with the agency. Meagan Davis, the agency’s associate director, will take over next month as executive director. She will succeed Marty McIntyre, who has spent 34 years with the agency and is widely regarded as one of the leading advocates for ending sexual assault in Maine. Davis, 31, received a bachelor’s degree in psychology and criminal justice from Thomas College in Waterville and a master’s degree in forensic psychology from Walden University, an online college. She worked in the nonprofit field and with crisis intervention services before joining the Maine Department of Health and Human Services as a child protection worker. “Which was very hard, but I am very, very proud of that work,” she said. Davis stayed with DHHS until about 2½ years ago, when she joined SAPARS as site coordinator for Oxford County. As site coordinator, she would supervise SAPARS’ program and staff in that county, but she could also use her forensic psychology background with the agency’s Children’s Advocacy Center. A few months later, she also became site coordinator for Franklin County. In the fall of the next year, she was named associate director. Davis remained site coordinator for Oxford and Franklin counties, but as associate director she began learning all the financial, administrative and operational requirements of running a nonprofit with a $1.2 million annual budget and 21 employees in Androscoggin, Oxford and Franklin counties. It was a new position for SAPARS, which had been run by McIntyre for three decades.